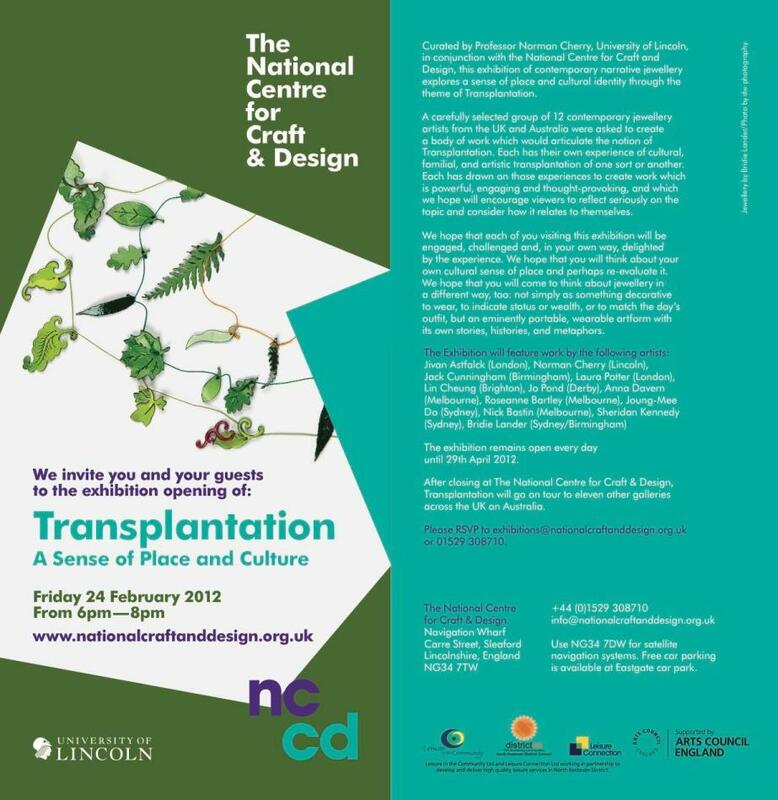 Transplantation (2012-2015) was a touring exhibition curated by Professor Norman Cherry in conjunction with the Hub: National Centre for Craft & Design and the University of Lincoln. The exhibition focussed on contemporary narrative jewellery, created by a group of artists based in either Britain or Australia, which explored a sense of place and cultural identity through the theme of 'Transplantation'. Each artist examined their individual cultural identity, as a consequence of their own personal and family experiences. An illustrated catalogue containing contextual essays can be purchased by contacting the exhibition venues. Full details of the work produced for the exhibition can be viewed under Goldweights of the 19th Century Australian Colonists.